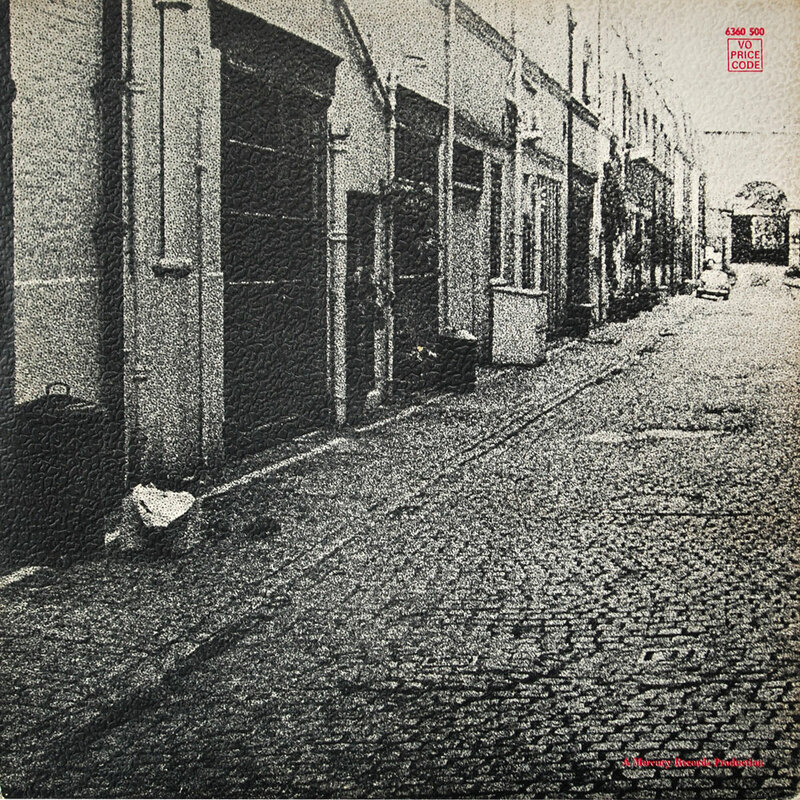 Textured gatefold sleeve designed and photographed by Marcus Keef, printed by Howards Printers Ltd. Textured sleeve only issued with 1st press large swirl label (left above), smooth sleeve issued with small swirl label reissues (centre and right above). 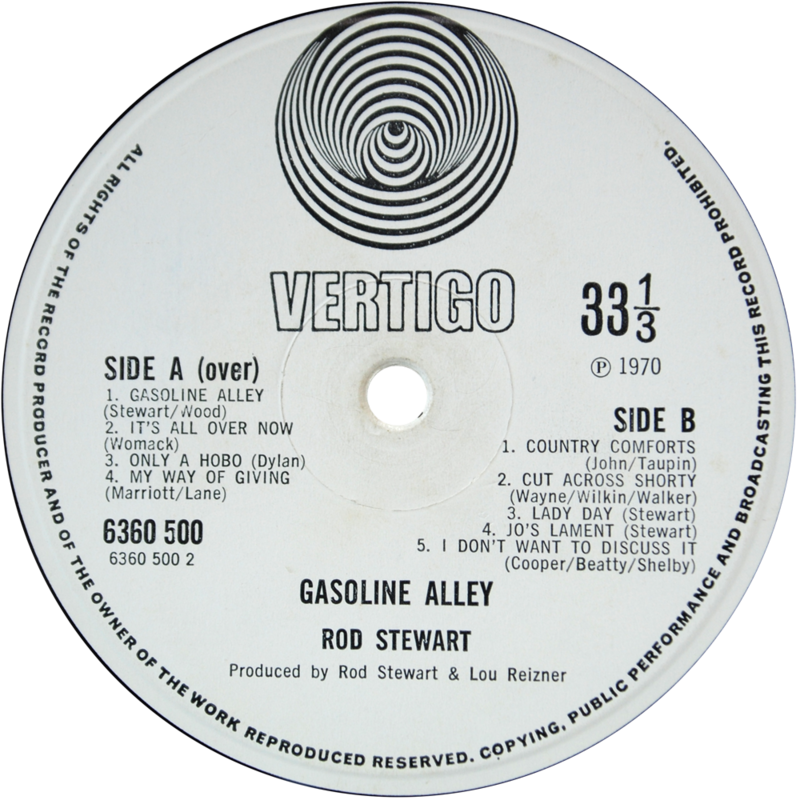 Large swirl label with VERTIGO below the spindle. 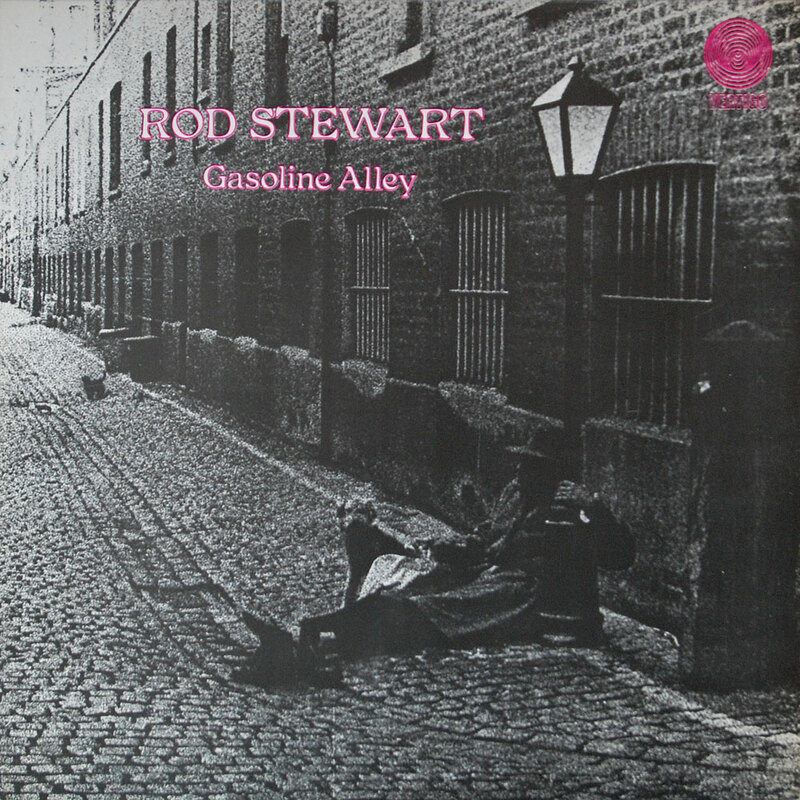 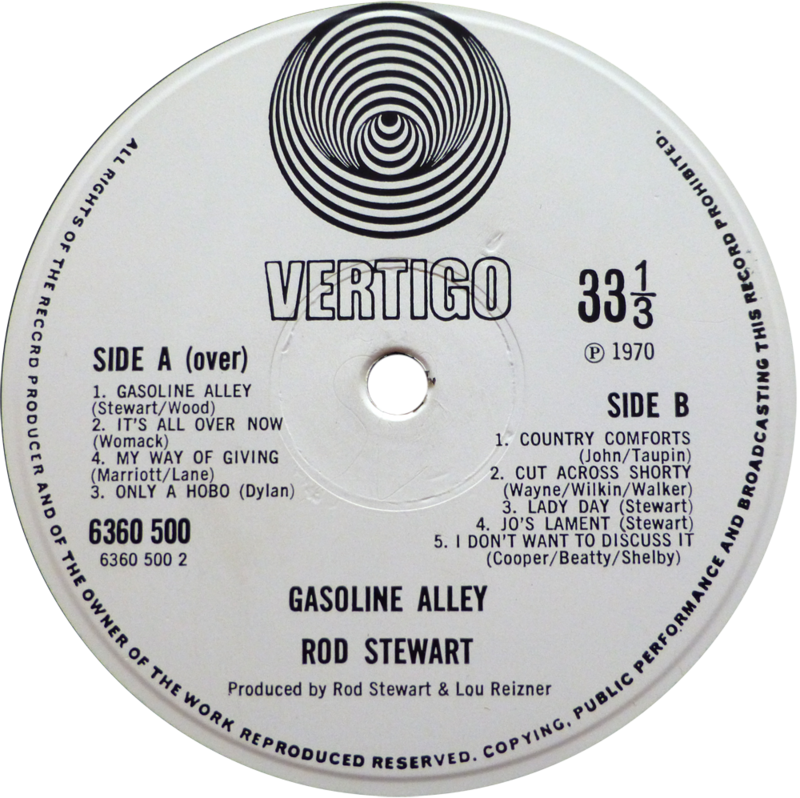 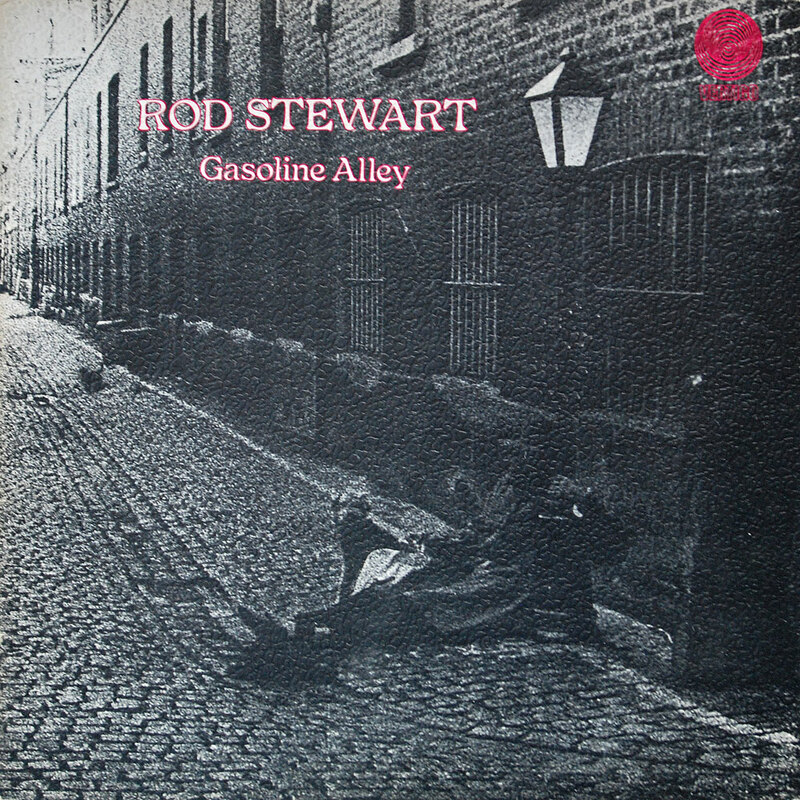 Reissued twice on swirl (mid-1971 for 1st reissue – centre label above, and late 1973 for 2nd reissue – right label above). 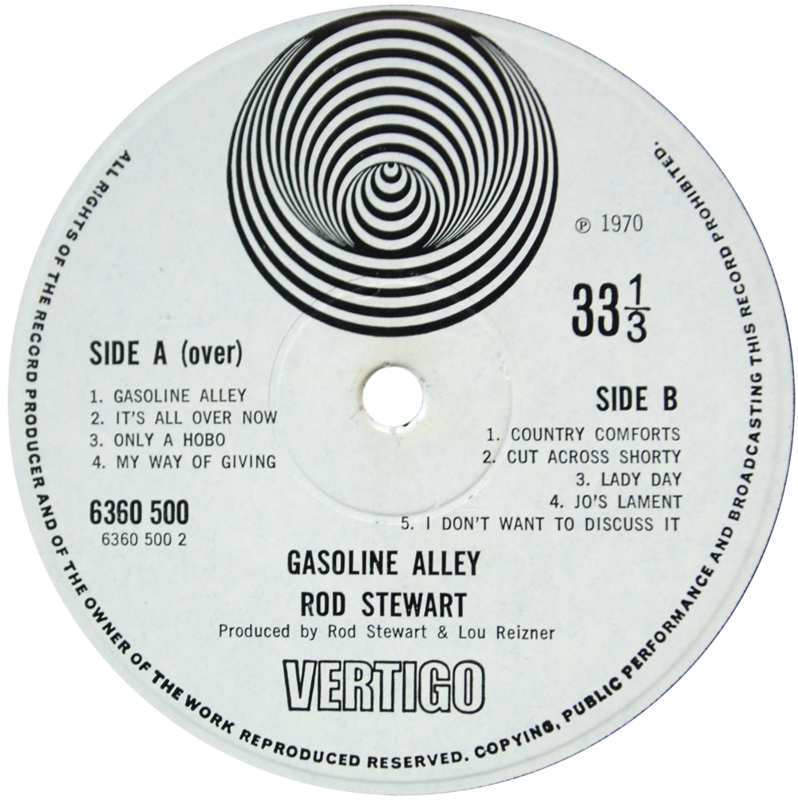 Also reissued on spaceship label. 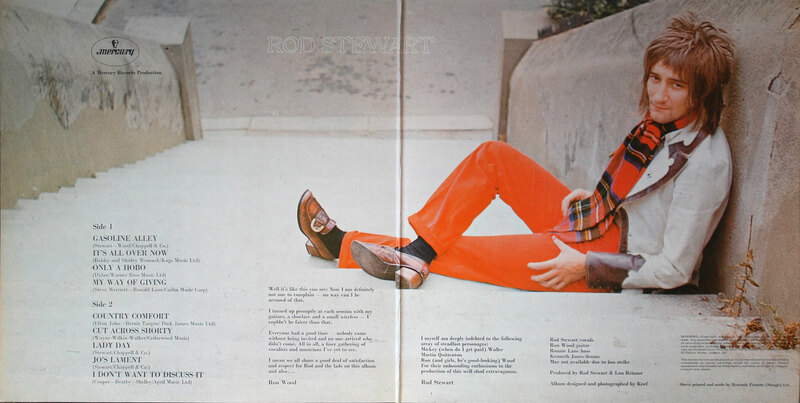 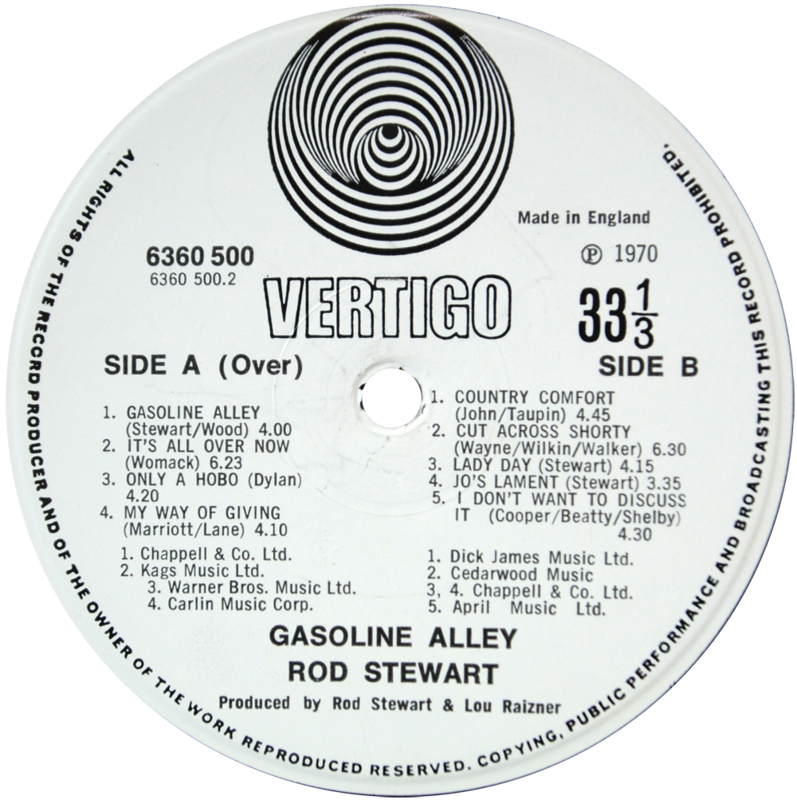 A sharp-eyed Rod Stewart owner has also sent in a scan of the 2nd issue with the track listing error – see below (Thanks to Steve Philp for sending it in).